You will enjoy captivating views and sunrises from the front porch of this charming country farmhouse. 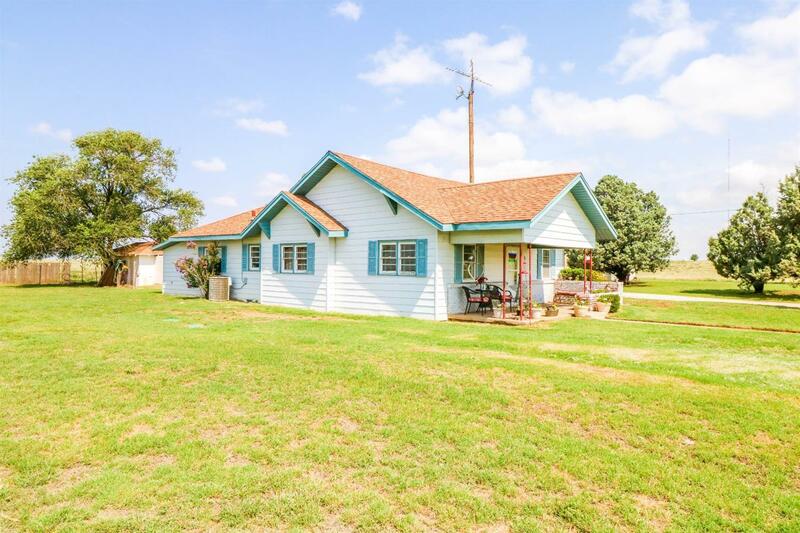 Just a few steps off the beaten path with lots of amenities, this charming 3 bedroom, 2 bath farmhouse boasts a large kitchen and beautiful dining room along with nice sized bedrooms and lots of storage as well as a two car detached garage. Outside not only will you find a covered storm cellar but also a 1 bedroom 1 bath bunkhouse with a great living area. And that's not all, there is also a large cinderblock shop with covered RV parking on the side! With almost two acres of space, there is room to grow. The list goes on, don't let this one pass you by...call and schedule your showing today.